MOVING LOCALLY WITHIN THE HAMPSHIRE AREA? MOVING TO HAMPSHIRE? WE CAN HELP! We are a local removal company, and have helped people to move to all areas in Hampshire including Southampton, Portsmouth, Basingstoke, Gosport, Waterlooville, Aldershot, Farnborough, Fareham, Eastleigh, Andover, Havant, Winchester & Fleet. WHY USE SCHEPENS FOR REMOVALS TO HAMPSHIRE? We are also able to provide safe, secure and clean storage within easy reach of Hampshire on a short or long term basis. If you need a removals company in Hampshire, then Schepens has the experience, expertise and local knowledge to offer you a smooth, trouble-free move. Southampton, Portsmouth, Basingstoke, Gosport, Waterlooville, Aldershot, Farnborough, Fareham, Eastleigh, Andover, Havant, Winchester, Fleet. Wondering why so many people are making plans to move to Hampshire? The families we move are all looking for the unique blend of rural, coastal and urban lifestyles which the county offers. Whether you’re seduced by the beauty of the New Forest, the historical architecture of Winchester, or the port heritage of Portsmouth, Hampshire is a great communication hub, and an ideal spot to bring up children. This pretty port town has recently been named as one of the most popular places to live in Britain. It’s easy to see why – picturesque cobbled streets, flanked by predominantly Georgian architecture leading down to a working quay where the local catch is still unloaded daily. It’s something of a yachting mecca, and has long been a favoured spot for celebrities to buy a home. House Prices: From £194,900 for a 1 bedroomed house, to £890,000 for a large detached home. Transport: 2 hours 15 mins on average to London Waterloo, by train. 30 mins to Southampton. 45 mins to Bournemouth. This ancient capital of England defined by the elegant architecture of its cathedral, surrounded by water meadows, and higgledy-piggledy cobbled streets. Locals describe Winchester as a ‘city that feels like a village’ because everything is within walking distance. Each winter Winchester hosts a picturesque Christmas market in the cathedral grounds, and each summer the Hat Fair fills the city with outdoor performance. Popular Schools: Junior schools – St Faith’s, St Bede’s, St Peter’s. Secondary schools – King’s School, Thorndon School, Peter Symonds Sixth Form College. Transport: Trains run regularly to Waterloo and the journey takes, on average, 1 hour. If you love maritime history, Portsmouth is second-to-none. Henry VIII created the Royal Navy here in 1527 and the city and two-thirds of the Navy’s surface vessels still dock here. This island city is home to the Mary Rose and Nelson’s HMS Victory but it’s also a university city with a lively 21st century waterfront, dominated by the iconic Spinnaker Tower. Popular Schools: Junior Schools – St Thomas More’s, Craneswater, Wicor. Secondary schools – Admiral Lord Nelson, Priory, Charter Academy. Transport: The drive to London takes, on average, 1 hour 45 minutes, or there are regular trains to Waterloo which take around 90 minutes. Sitting at the heart of the Test Valley, Stockbridge high street was once a drovers’ road, but the Georgian High Street is now home to numerous independent shops, boutiques, cafes and restaurants. The River Test runs through the centre of the town, making it a haven for fishermen and a picturesque stop-over for tourists looking for a typically English town. Transport: Not an easy commute to London; Winchester is the nearest connection to Waterloo and the journey time is around 2.5 hours. Probably the most popular location in Hampshire for families. This is one of the UK’s fastest growing economies making it a great choice if you’re looking for a job, or wanting to start your own business. Southampton is a busy university city, but it’s also close to the New Forest, and Southampton Common. Plus, it’s a port with a lively waterfront, great shopping, art galleries and theatres. Transport: Trains run every 30 minutes to Waterloo and the journey takes 1 hour 23 mins on average. Schepens has been moving families to all corners of Hampshire for over a century now, and we’re familiar with the majority of towns and cities across the county. All our removals teams are professionally BAR trained and they bring with them a detailed local knowledge. We can help movers with the best time of day to move, the best routes to their new home, and we always arrange for parking outside their new property when unloading. We are a professional removals company with over 100 years of experience performing UK, European and International removals, we cover all outlying areas and are considered to be one of the main removal companies for: Romsey, Salisbury, Southampton, Winchester, Andover, Lymington, Lyndhurst and the Bournemouth areas. If you’re thinking of moving to any location in Hampshire, call our removals team today on 02380 070071 to find out more about the range of services we offer. If looking for the most reliable, professional and affordable Hampshire piano movers on the market, you’ve come to the right place. 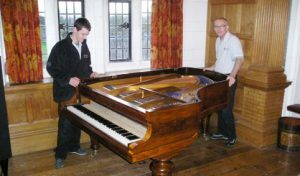 Backed by more than 100 years’ combined experience, Schepens knows what it means to plan and oversee even the most challenging piano removals for Hampshire. Our experience and expertise extend to all aspects of relocation services, piano removals and fully flexible storage in Hampshire. Whether moving home or simply looking for professional support when transporting larger and more difficult items, we’re here to help. A standout among UK piano movers, Schepens knows exactly what it takes to exceed expectations for the best possible price. It’s not until you find yourself dealing with difficult items like pianos that you realise how challenging even the shortest move can be. Weighing in at around 500lbs or even 600lbs on average, pianos are by their very nature incredibly difficult to transport. Particularly when taking into account how sensitive and fragile the most refined musical instruments can be. Whether looking to arrange a simple A to B removals service or temporary storage of your piano in a safe and secure place, we’re here to help. Here at Schepens, we acknowledge the fact that we aren’t the only Hampshire piano movers our customers have access to. Nevertheless, with more than 100 years’ experience serving discerning customers across the region, we can provide you with the ultimate service package. Safe, streamlined and simplified removals – all provided for the lowest possible price. If you prefer not to take chances, Schepens has you and your move covered! We can help plan and implement even the most ambitious moves, both into and out of the local region. From simple initial consultancy to the transportation of larger goods to comprehensive relocation services where every detail is handled on your behalf, Schepens covers all preferences and pockets. What’s more, by taking into account all potential issues and obstacles ahead of time, we can help ensure that your piano and your larger goods in general arrive at their destination smoothly, safely and with zero fuss. Having dealt with the consequences of failed piano removals on multiple occasions, we strongly recommend avoiding low-grade removals companies at all costs. It simply isn’t worth taking the chance with such fragile, important and expensive possessions. Everything we do is geared towards your total peace of mind and satisfaction from start to finish. Schepens takes pride in operating as uniquely capable Hampshire piano movers you can trust. Whatever your needs, preferences and available budget, we’ll provide you with a package that guarantees unbeatable value for money. We take the safety and security of our customers’ possessions as seriously as they do, taking no chances and refusing to cut corners. 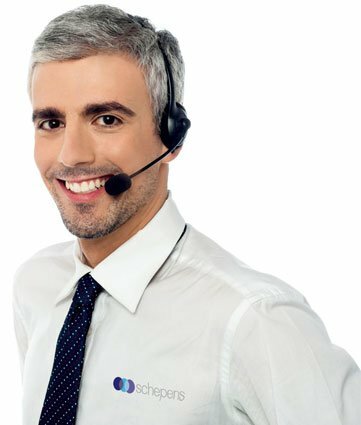 TO FIND OUT MORE ABOUT OUR SERVICES OR TO DISCUSS YOUR REQUIREMENTS IN MORE DETAIL, GET IN TOUCH WITH A MEMBER OF THE SCHEPENS CUSTOMER SERVICE TEAM TODAY BY CALLING 02380 070071. WE’RE STANDING BY TO TAKE YOUR CALL. Hampshire is the home of the new forest and the ancient city of Winchester. It has beautiful beaches aplenty, as well as miles and miles of stunning English countryside. It is also a prosperous and thriving county with plenty of business success stories to be found throughout. Being the third most populous county in England, and offering established cities like Portsmouth and Southampton, the county is the perfect place for anyone looking to relocate their business to the South Coast. If you are looking for an office removal company in Hampshire, Schepens are on hand to help with every aspect of your commercial relocation. WHY CHOOSE SCHEPENS FOR YOUR BUSINESS REMOVALS IN HAMPSHIRE? Successfully moving your business location takes a lot of planning, patience and experience. If you are considering making the move and need an office removal company in Hampshire to help, Schepens have got your covered. As a leading provider of UK removals, we have an excellent reputation and the expertise to ensure that your office move in Hampshire is delivered on time and is kept within your budget requirements. We work alongside our clients to plan and manage their entire office removal, meaning that we can get you and you business back up and running as quickly as possible. We work hard to ensure as little disruption to your day to day routine as possible, and have many years experience of delivering top quality corporate removals in Hampshire and across the UK. 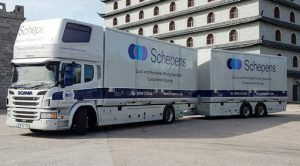 Here at Schepens, we will work with you to understand the scope of your business relocation in Hampshire and create a tailor made removals plan to match your exact requirements. Our commercial removals are flexible enough to manage projects of any size, from small office removals and internal porterage contracts to managing complex specialist relocation projects. What ever type of office removals you are looking for, we can help. When you enlist our help, every aspect of your office removals will be taken care of. Your office furniture can be dismantled for you and re-assembled at your new destination, and we will always find a way to move large items from one place to another. Our packing service and state of the art transportation vehicles will also ensure that all of your belongings arrive at their destination safely and in one piece. We guarantee to work on your behalf to ensure that your business relocation in Hampshire goes smoothly from start to finish. Commercial removals require careful planning to avoid periods of disruption and down time. Our specialist corporate removals team is on hand to advise you of the very best way to move your business from one location to another, quickly, efficiently and within budget. If you are looking for a reliable, experienced and professional business removals in Hampshire, call our team today. We treat every removal as an entirely new opportunity, and will visit your premises to discuss your requirements and provide you with a tailor made, no obligation, free quotation for you consideration. SPEAK TO OUR COMMERCIAL REMOVALS TEAM IN HAMPSHIRE TODAY ON 02380 070071.